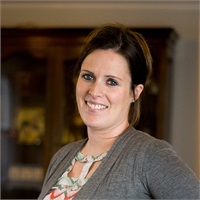 Brittany is our Client Service Manager. She comes to our office with strong administrative experience in healthcare and financial services. She currently holds a Bachelor’s Degree in Business Administration and working towards her MBA at Shippensburg University. She is currently studying to become a Licensed Financial Advisor. Her primary responsibilities include supporting the Financial Advisors in all aspects of client relationships and oversee the daily administration of our office in Carlisle. Her and her fiancé live in Chambersburg and have 3 children. She enjoys continuing her education, running, and spending time with her family. She looks forward to working with our clients and learning more about their financial needs.